Do you remember those delicious home made cheesecakes from your childhood when they were still uncommercialised and had a lighter flavour? 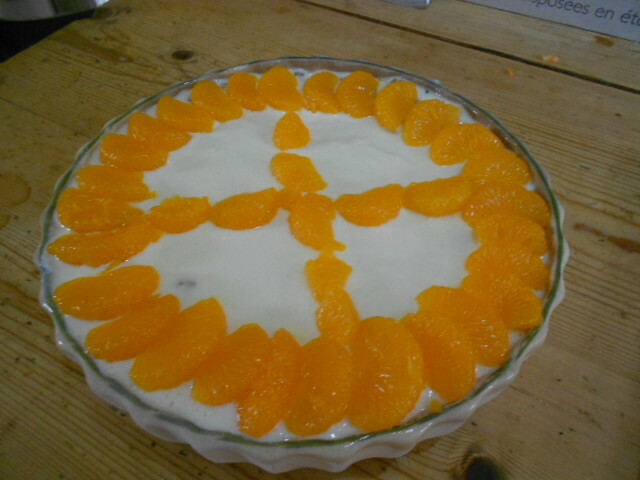 I serve this up for the children sometime who actually do not like cheesecake normally, they love this version. This is not a last minute pudding as it needs chilling to allow it to set. Break up the biscuits in the old fashioned way – a bag and a rolling pin or you can use a chopper to get them really small and even. 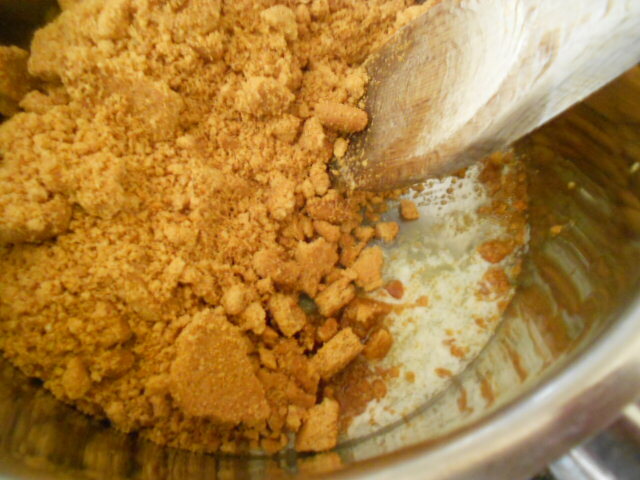 Cover the bottom of the dish with the biscuit mix, leaving a slight well in the centre. Leave to chill for a good hour or so – I use the freezer to help things along. 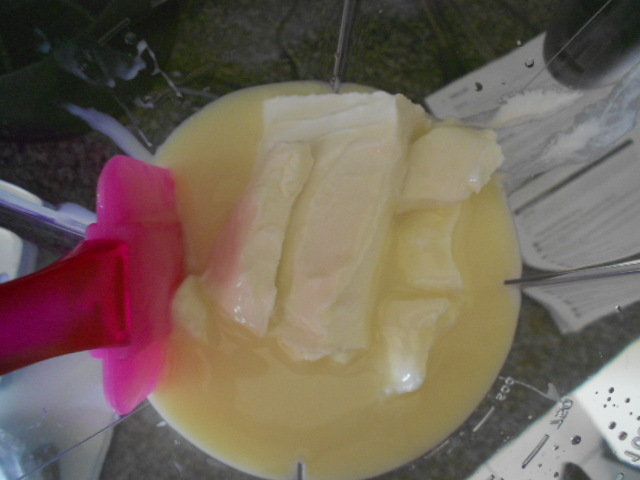 Soak the gelatin according to the packet instructions – as different makes have different ways of making it. 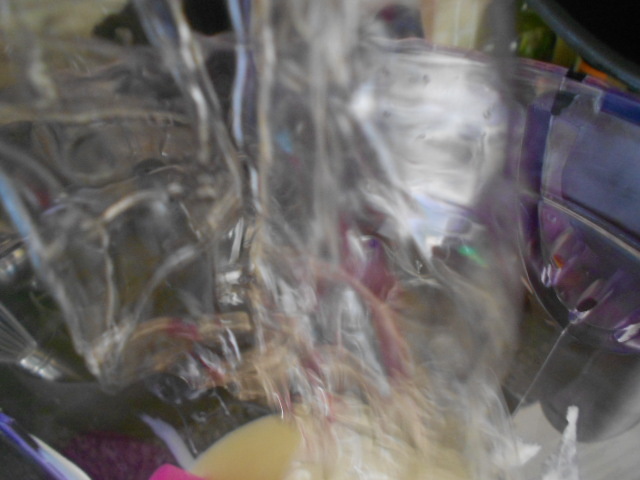 I use leaf gelatin so it needs to be soaked in cold water. 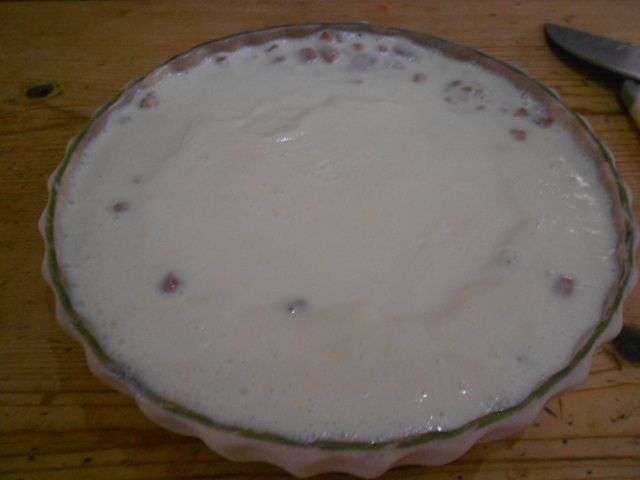 Meanwhile, in a blender add the cheese and the condensed milk and whisk well till it is a runny consistency. Add in the soaked geletine and whisk again. You could add vanilla extract or lemon juice at this point but it is fine without. 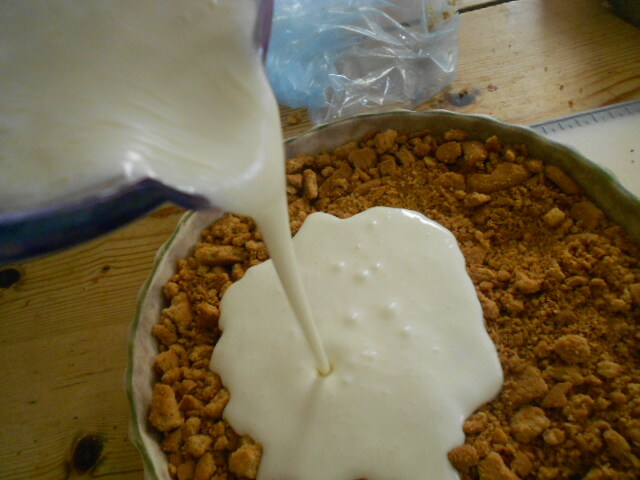 Pour into the hard biscuit base and return to the freezer / fridge for chilling. 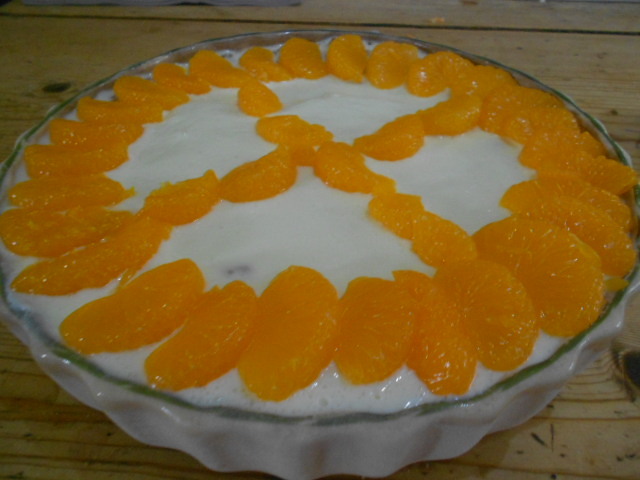 Make sure the centre is solid before serving then remove from fridge and add the drained mandarins. At this point any fruit can be used, strawberries, raspberries or any other. 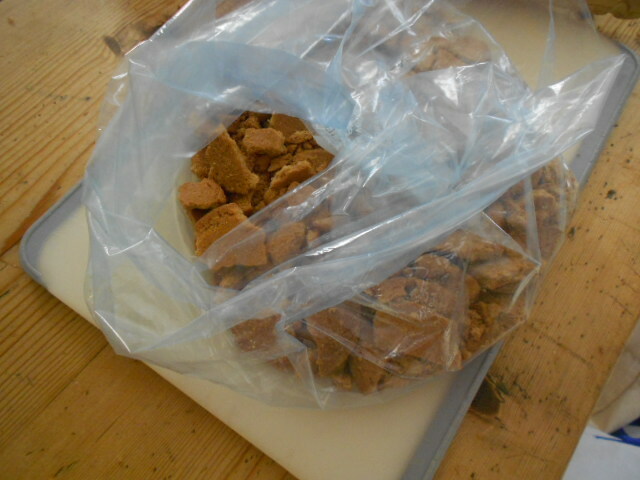 Serve to the delighted family but be warned – there is enough for about 10 people so I tried to save some for the next day. The fridge imp was obviously hungry overnight and there was non left the following day! Have a go and let me know any variations you come up with.